NEW JERSEY (WABC) -- Many Americans have been taking advantage of eased-up restrictions on travel to Cuba. 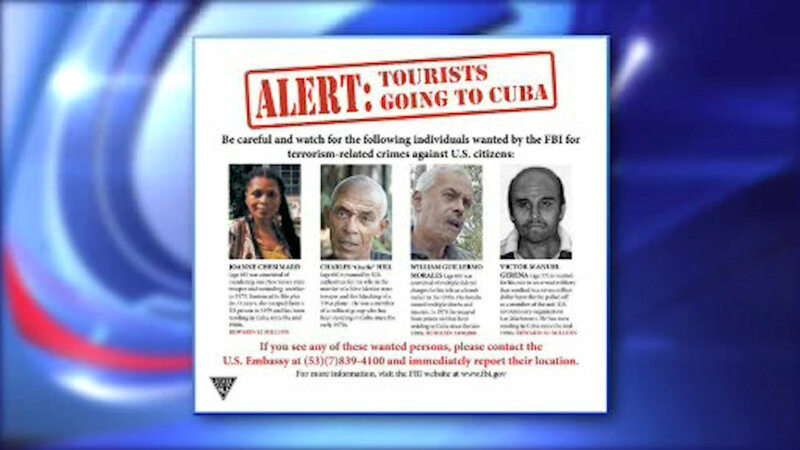 There's now an effort to remind tourists that the island still harbors U.S. fugitives wanted by U.S. law enforcement. New Jersey State Police created a poster asking tourists to be on the lookout for suspects and fugitives. One of them is Joanne Chesimard, who murdered a New Jersey state trooper in 1973, and then escaped from prison.